How can we visit your office/lab? Due to concerns for the integrity, security, and privacy of the evidence, and in order to eliminate extraneous sources of contamination, public visits to our facility are only possible with prior arrangements and appointments. You can contact us for an appointment via our website's “Contact Us” page. We will make every effort to meet with you, at your convenience, during the week. Both day and evening appointments are available. Is your office open Monday through Friday for visits? Appointments must be scheduled prior to visitation. The hours of our facility widely vary and therefore all visits must be scheduled in advance. Please call or email our office for a suitable time and date. While doing so please let us know the primary goal of your visit. Do we have to meet with you at your facility or are there any other options? We can meet with you at any convenient location. We can also communicate through email or by phone to discuss your needs. Is there any charge or fee for the initial visit or appointment? The initial visit to discuss your needs is always free of charge. 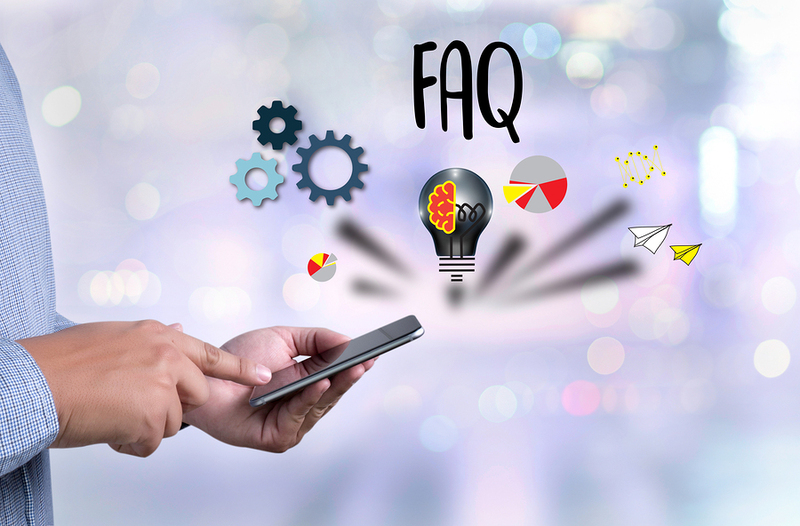 The fees vary from project to project and depend on the type of consulting and processing service, as well as the length and the depth of the project. Our fee structure is competitive, but also represents a fair value for the services provided. Is there a retainer fee for your services? Accredited agencies, companies, and firms are excluded from paying a retainer fee. However, individual clients may be asked to pay a portion of the agreed fee as a retainer fee before the services are rendered. Do you keep copies of all documents and reports in your facility? Yes, we will keep copies of all images, bench notes, documents, photographs, reports, and other pertinent paperwork for our records in case they are needed to be used in a court of law or at a deposition. All original items of evidence, however, will be returned to the client for safekeeping or as evidence. Are you a Certified Latent Print Examiner? Who certified you and since when? Yes, Mr. Nikoui is a Certified Latent Print Examiner, and has been since 1994. He was certified by the International Association for Identification (IAI), the world’s oldest and largest forensic science identification association. 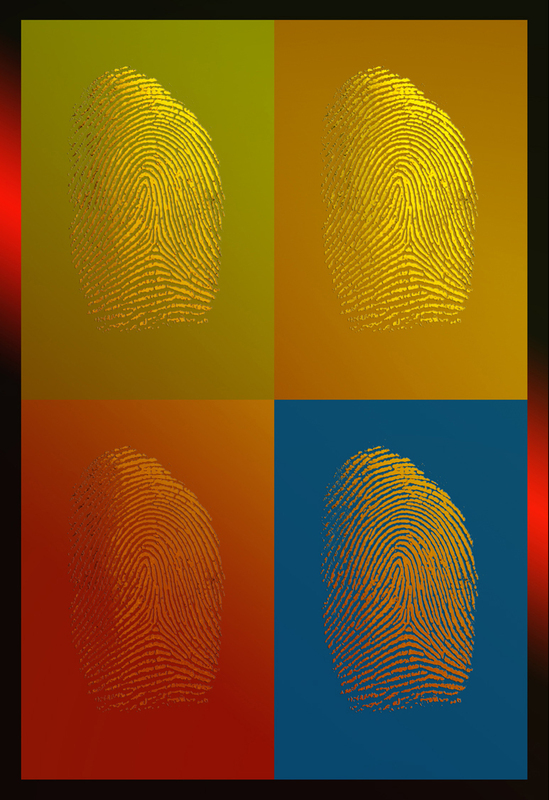 Do you perform manual fingerprint comparison and identification? Yes, as long as we receive the known prints of the individuals and the recovered latent prints. How much experience do you have in fingerprint comparison and identification? We have many decades of combined experience in fingerprint comparison and identification. Please refer to the “About Us” section of our website for more details. How many cases of fingerprint comparison and identification have you performed? Over 30,000 comparison cases, and millions of one-to-one comparisons. Can you retrieve known prints of an individual for comparison purposes? Unfortunately, we do not have direct access to the known prints of individuals. The county state and federal fingerprint archives can provide these prints by the request of law enforcement agencies only. We can assist you in this process. However, for non-law enforcement agencies and private individuals, we can directly obtain the known prints from individuals for comparison purposes. The individuals must freely consent to their prints being retrieved by us. We are a private company and have a theft case that we need to process and investigate internally. Could you help us process the evidence and possibly identify the individual(s) responsible? Yes, we can help you with processing the physical evidence that may have been touched by the individual(s) and to compare any recovered prints with the known prints. However, the company must provide the known prints or allow us to retrieve them on behalf of the company and with the consent of the individual(s). We have a suspect's known/rolled prints and a few latent print cards which were collected and submitted by our officers from the crime scene. Could you analyze and compare the prints for us? How fast can you perform this task? Yes we can, as long as we have both the latent prints and the known prints of individuals. We can perform this task in a very short period of time, within hours or days, depending on the quality and quantity of the known and latent impressions as well as the priority of the case. We are a law enforcement agency and need a Latent Print Examiner to help us with reduction of our fingerprint backlog. Could you help us on a contractual basis? Yes we can, as long as your agency gives us permission to process latent prints on behalf of your agency. We can set up the Universal Latent Workstation (ULW), which is the new generation of interoperable and interactive software for Latent Print Examiners. With ULW we can directly connect from your agency to the California Department of Justice’s (DOJ) CAL-ID/AFIS and the FBI Next Generation Identification (NGI) to process your latent finger and palm prints. Your department must, however, do the initial application for the set-up. Downloading the entire software is free of charge for law enforcement agencies. The permission to use the system is then passed to us by your agency. In addition, we can perform manual fingerprint comparison and identification for you as long as you obtain the known prints of the suspects from your Sheriff's identification bureau or from the California DOJ Fingerprint Expedited Unit. We can provide you with all the necessary information needed to obtain the suspect's known prints for comparison. We are not a law enforcement agency. Can you process fingerprints in the automated fingerprint identification system for us? Unfortunately, we cannot! The use of automated fingerprint identification systems which access a variety of criminal finger and palm print databases (e.g. FBI IAFIS) are strictly for the use of law enforcement agencies only. We are a law enforcement agency and need to process latent prints through the automated fingerprint identification system, AFIS. Could you do that for us? Unfortunately, we do not have direct access to CAL-ID AFIS. Your agency must give us permission/access to the AFIS systems. However, we can set up Universal Latent Workstation (ULW) at your facility, so that we may process your latent prints through AFIS. The other option is that we can analyze your prints and submit the quality latent impressions (finger and palm prints) to the DOJ in Sacramento, California for AFIS processing. The DOJ will then directly send the results to your department. How many years of experience do you have with the Automated Fingerprint Identification Processing? Approximately 30 years of experience with using different generations and brands of AFIS systems. We have some documents with inked fingerprints (Notary Public) affixed on them. Could you compare those with the prints of other individuals for identification? Sure, as long as we have the known prints of the individuals who are suspected of depositing the inked impression. We can retrieve the individual's prints after their consent. We have physical evidence that we have collected from a crime scene and we don’t have a processing lab. Could you process our physical evidence for the recovery of fingerprints? How about DNA? Yes, we can process your evidence in our facility, using state of the art techniques and equipment. You can submit your items of evidence to us for processing. After a full sequential processing and documentation of any possible latent prints, the evidence will then be returned to your agency with a complete comprehensive report. If you request that the evidence be processed for DNA, we can swab the items before chemically processing them. These swabs will be dried, packaged, sealed, documented, and returned to your agency. We do not have the capability to process the DNA for identification. Do you perform both physical and chemical processing? Yes, we use a variety of methods to process evidence for the recovery of fingerprints. For example, for chemical processing, we use a variety of chemical reagents sequentially depending on the evidence type and material. We have documents that we suspect that have been touched by unauthorized individuals. Could you recover their prints for identification purposes? Yes, we can chemically process documents to recover the latent prints. Can you process different types of surfaces, such as paper and plastic for chemical processing? Yes, we can chemically and physically process many types of surfaces, including paper, plastic, metals, ceramic, cardboard, marble, styrofoam, plastic wraps, rubber, wood, glass, adhesive tape, etc. Are there any types of surfaces or materials that you are not able to recover prints from? Yes, there are many surfaces that are not suitable for recovery of latent prints. These surfaces are not conducive to latent prints due to their heavy textures and extreme porosity, such as cement, rocks, bricks, fabrics, sponge, and foam. How much does it cost to process evidence? The cost depends on the type of material, the quantity of the evidence, the length of the processing and documentation. The approximate cost of processing, therefore, will be determined when a case is presented to us. Who are forensic photographers and what do they do? Forensic Photographers are individuals who produce accurate images of physical evidence and crime scenes for use in court and for future analysis by other experts. A forensic photographer works efficiently in distressing and challenging environments, without disturbing evidence or interfering with the work of other investigators. A forensic photographer has a solid background in the criminal justice system and law enforcement, has excellent technical photography skills, and demonstrates tact and discretion in dealing with victims of crime. Are you certified as a Forensic Photographer? If so, by what organization? Yes, Mr. Nikoui has a bachelor degree in Photography and is also one of the 57 Forensic Photographers certified by the International Association for Identification (IAI) in the world. Please check https://theiai.org/certifications/imaging/index.php for the listing of all IAI Certified Forensic Photographers. Do you provide Forensic Photography Training? Yes, our associates have several decades of experience training others in forensic photography. We can provide a variety of specialized courses ranging from basic to advanced photography. Our photography courses include crime scene investigation photography, evidence documentation photography, digital image enhancement, and post production. We can also design custom courses to suit your agency's needs. What type of services can you, as an independent forensic photographer, provide? We, as the independent Forensic Photographers, can provide complete photographic and digital imaging services to lawyers, insurance companies, individuals, and law enforcement agencies. We have decades of work experience in the law enforcement environment. We are highly skilled and experienced in correctly and accurately documenting evidence and crime scenes. Can you photograph and/or videotape crime scenes using available light, without the use of strobes or flash lights, in a dark environment? Yes, we can photograph scenes and objects without the use of strobes or auxiliary lighting. We can photograph or videotape scenes and objects using an invisible infrared camera and light, or we can use the available ambient light to photograph the scenes. Do you take photographs of the victims of accidents/crimes? Yes, we are highly skilled and experienced in documenting and photographing personal injuries to supplement police photographs. The majority of police agencies do not have the personnel or capability to properly take detailed photographs of injuries. Bruises, typically, do not appear well on the first day of an incident. They also fade away after a couple of weeks from the initial time of the injury. These types of injuries needs to be documented within this two week period. However, some bruises may still be documented after this period using ultraviolet and infrared Photography Techniques. We can document personal injuries at our office or any other convenient location. It is highly recommended that these photographs be taken by skilled and experienced forensic photographers, who can also testify on your behalf in a civil or criminal court. A precise and detailed photographic documentation of the injuries is crucial for use in court. Are you qualified as an expert witness in the court of law and which courts? Yes, we have been qualified numerous times as an expert witness in various courts of law, including county, state, and federal. Can you make displays and visual aids for presentation in court? Yes, we can make powerpoint presentations, poster displays, and fingerprint comparison charts. How much do you charge for court testimony? We charge extra for court testimony and presentation. The court rate is about 1.5x (150%) the normal hourly rate (with a minimum of 4 hours charged). Additional charges may apply considering expenses associated with producing court displays and presentations, travel, lodging, and per diem. Do you travel out of your area for consulting and processing services? Yes we do, however, we charge a travel fee for any distance longer than 20 miles from our facility. If we have to move out of our area, we will charge additional fees to cover the traveling expenses. What are the legal rules for allowing expert witness testimony? If scientific, technical or other specialized knowledge will assist the trier of fact to understand the evidence or to determine a fact in issue, a witness qualified as an expert by knowledge, skill, experience, training or education, may testify thereto in the form of an opinion or otherwise, provided that (1) the testimony is based upon sufficient facts or data, (2) the testimony is the product of reliable principles and methods, and (3) the witness has applied the principles and methods reliably to the facts of the case. What are the minimum qualifications for a Friction Ridge Examiner? Legally, the judge decides who is qualified to present expert testimony. An individual who adheres to the above guidelines should be able to qualify as an expert in a court of law. Is fingerprint examination a science? Yes. Fingerprint examination is an applied science based upon the foundation of biological uniqueness, persistence, and empirical validation through observation. This is supported by the Daubert and Kumho decisions. Yes. The scientific basis and methodology of fingerprint examination is reliable. The reliability of fingerprint examination is supported by the principles of biological uniqueness and persistence, probability modeling, and empirical data gained through over one hundred years of operational experience. Can mistakes be made in fingerprint examination? Yes. In any human endeavor, there is a potential for error. Adherence to SWGFAST Standards for Minimum Qualifications and Training to Competency for Friction Ridge Examiners (Latent/Tenprint) and quality assurance minimize the risk of human error. Can an error rate be defined for erroneous identifications (false positives) in friction ridge examination? There are many definitions of error and many variables when calculating error rates. In regards to friction ridge examination error rate, the US Supreme Court in Daubert v. Dow states that, “…the focus, of course, must be solely on principles and methodology, not on the conclusions they generate.” Others claim that the method cannot be separated from the examiner and therefore they must be combined. Examples of discovered error rates, that an examiner may testify to, include: 1) personal erroneous identification rate, 2) laboratory erroneous identification rate, 3) estimated industry erroneous identification rate (based on the approximate number of detected errors; compared to the approximate number of examinations conducted to date). What is the standard for friction ridge identification (individualization)? Also, SWGFAST has published standards for all conclusions. How can two experts have different opinions on the same images? Errors can be minimized by the systematic verification of reported conclusions, according to agency policy. Can AFIS always make automated fingerprint matches? No. Often, deliberately recorded fingerprints are not high enough quality to achieve a score above a “lights-out” threshold. Additionally, latent prints currently return a ranked order of candidates based upon the position, location and direction of friction ridge features. A friction ridge examiner makes a decision of individualization or exclusion using the application of the ACE-V methodology which cannot be automated. What is the National Academy of Sciences? What is the "NAS Report"? The Strengthening Forensic Science in the United States: A Path Forward report was published in February, 2009 by the Committee on Identifying the Needs of the Forensic Sciences Community; Committee on Applied and Theoretical Statistics, National Research Council. It contained 13 recommendations to improve the forensic science disciplines. Can fingerprints be identified with absolute certainty? Have statistical models been created for fingerprint identification? Certification, as it relates to friction ridge examiners, involves assessing the knowledge, skill, and ability of an examiner to successfully complete an examination and demonstrate competency. Those lacking certification are not generally precluded from practicing or working in their respective disciplines. Certification is important because it establishes a baseline of knowledge and allows external entities, who are not familiar with the discipline, to be assured of the skill level of the practitioner. The NAS report made strong recommendations for practitioners to achieve certification. The main external certifying body for friction ridge examiners is the International Association for Identification (IAI), and some agencies have internal certification programs. How is the suitability of a friction ridge impression measured? 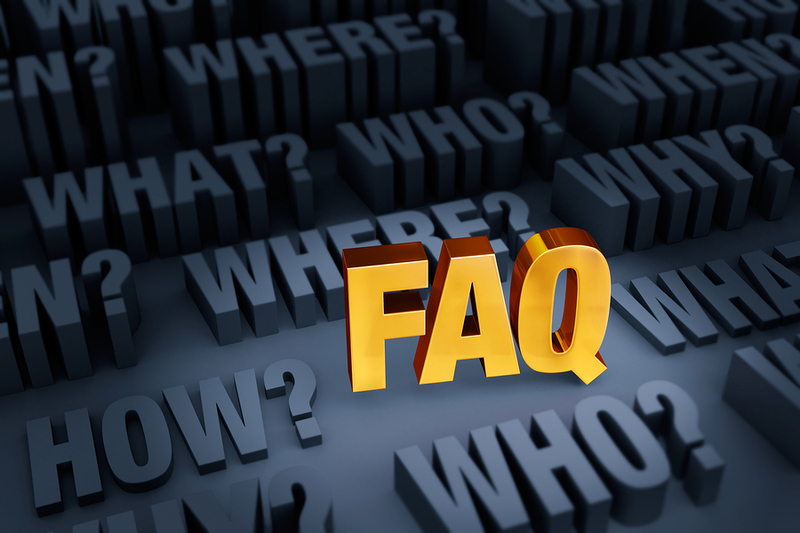 Answering the question of suitability requires that the purpose be defined. For example, whether a friction ridge impression is suitable for retention as evidence is a different question than whether it is suitable for identification. The question of suitability also involves a subjective measurement of information. It is recognized that any scientific endeavor is subject to human interpretation. (For example, training, experience, visual acuity, talent, external influences) In friction ridge examination, what might appear as an objective threshold even has subjective elements. For example, requiring a minimum number of features to establish suitability for the purpose of identification may appear objective, but how an examiner defines a “feature” is still subjective. Scientific objectivity is achieved through the reproducibility of subjective conclusions by other examiners, within established parameters. See also the DRAFT SWGFAST Standards for Examining Friction Ridge Impressions and Resulting Conclusions. Are friction ridge examinations subject to bias? Yes, bias exists in all human endeavors. Types of bias that may occur include contextual, confirmation and cognitive. (See the SWGFAST Standard Terminology of Friction Ridge Examination) If bias is not mitigated it can prevent objective consideration of information. However, there are quality assurance measures available to mitigate the effects of bias. Does contextual information always cause bias? No, there are times when information properly assists the investigation. For example, knowing the surface on which a latent print was developed can aid the examination of that impression. The absence of contextual information can also interfere with the interpretation of data. Is ACE-V a process, method, or methodology? Historically, the fingerprint discipline has used the terms interchangeably. The examination sequence of ACE-V can vary in its formality and detail. It can be a method when prescribed by an agency which has an explicit policy regarding its application, or it can be a process when only a general description is provided. ACE-V is further explained in the SWGFAST document, “Examining Friction Ridge Impressions and Resulting Conclusions (Latent/Tenprint)”. Please Contact Us With Any Questions or Projects You May Have! There is no charge, fee or obligation for the initial consultations! Our Fees are negotiable and competetive and varies depending upon the type of service or project.